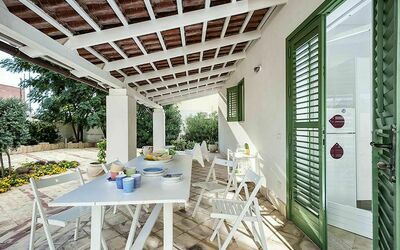 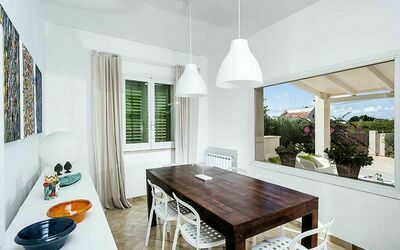 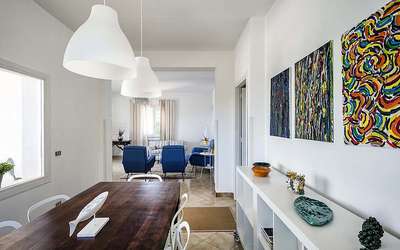 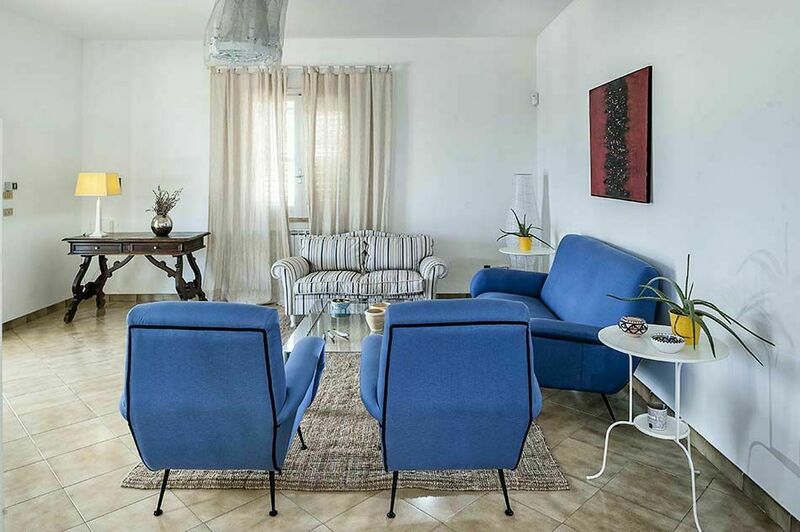 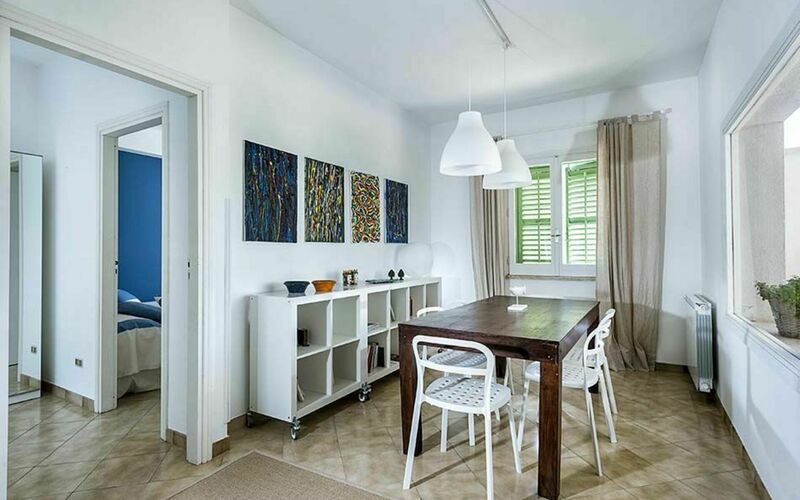 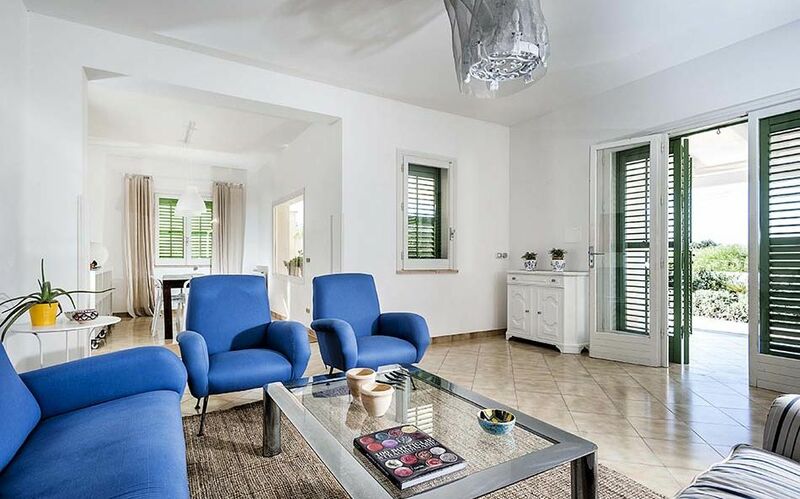 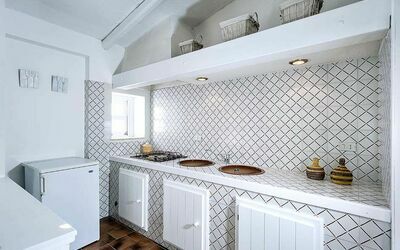 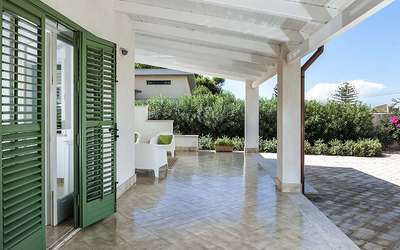 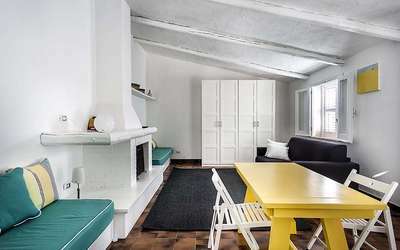 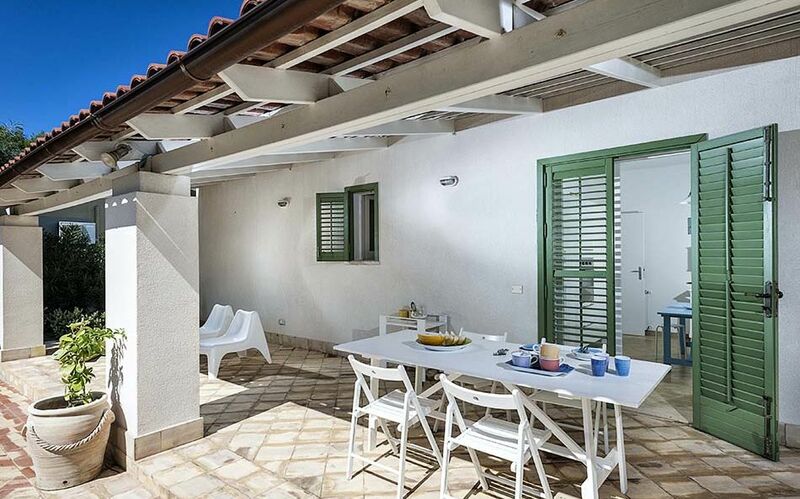 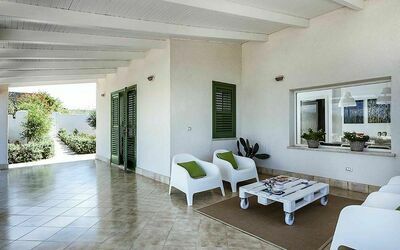 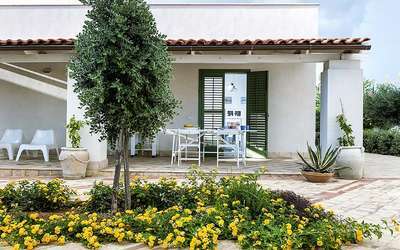 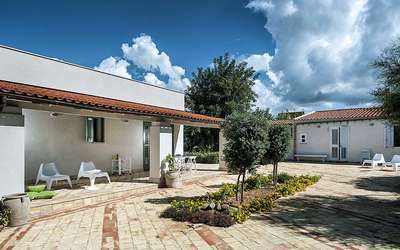 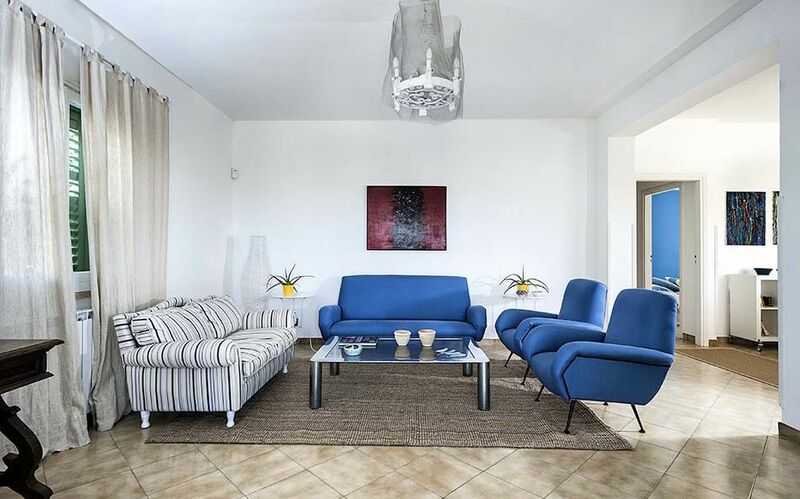 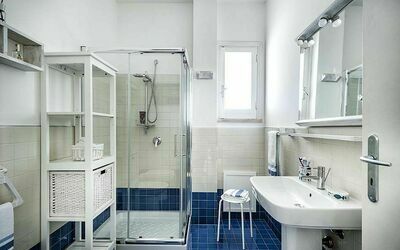 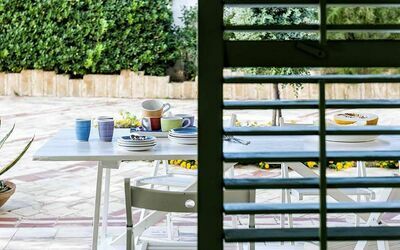 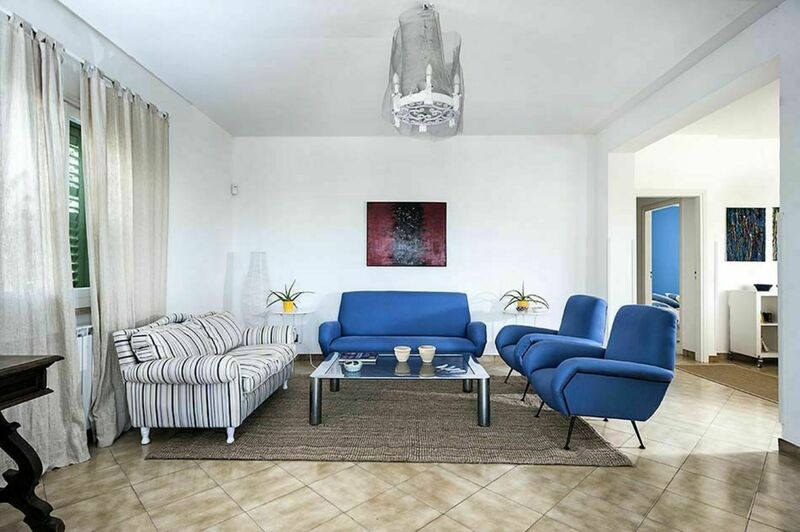 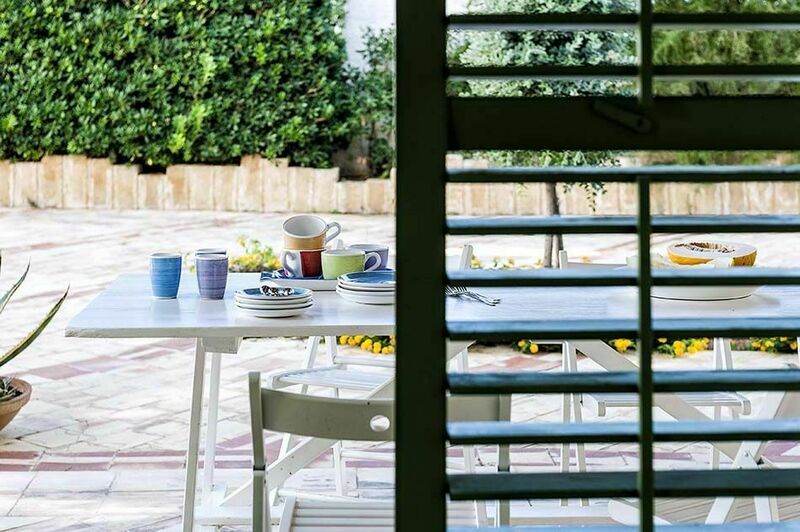 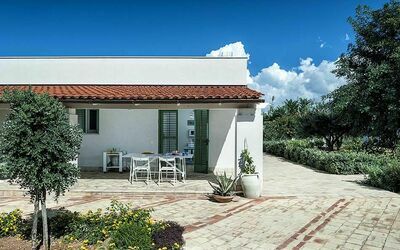 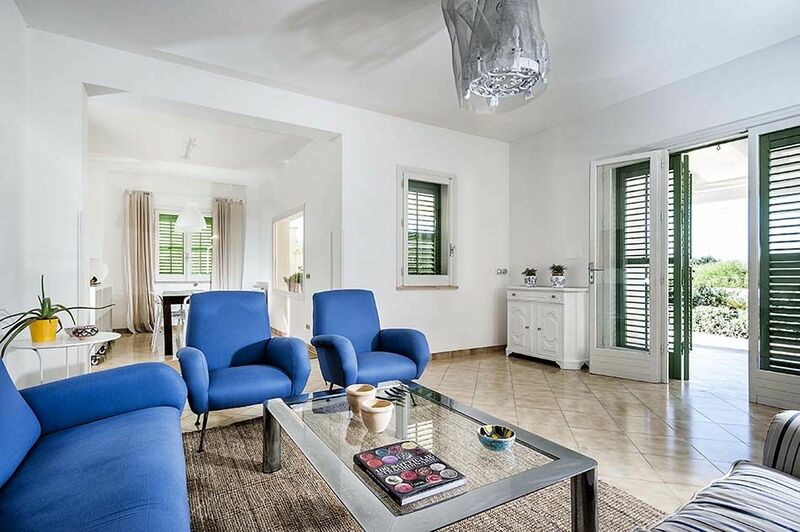 Bianca is a modern, detached villa situated just a few steps away from the splendid sea of Mazara del Vallo, an ancient town on the west coast of Sicily. 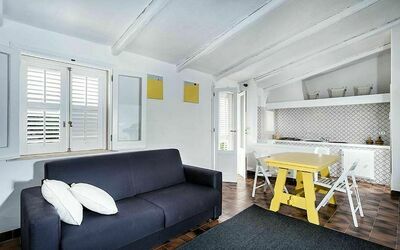 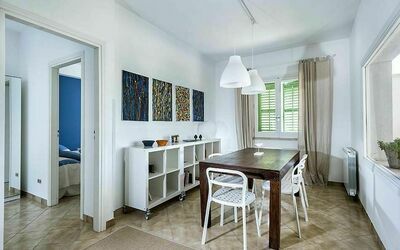 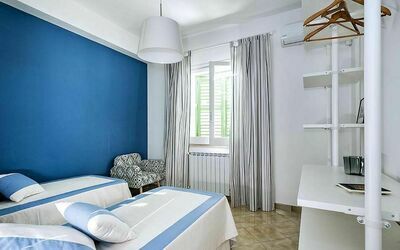 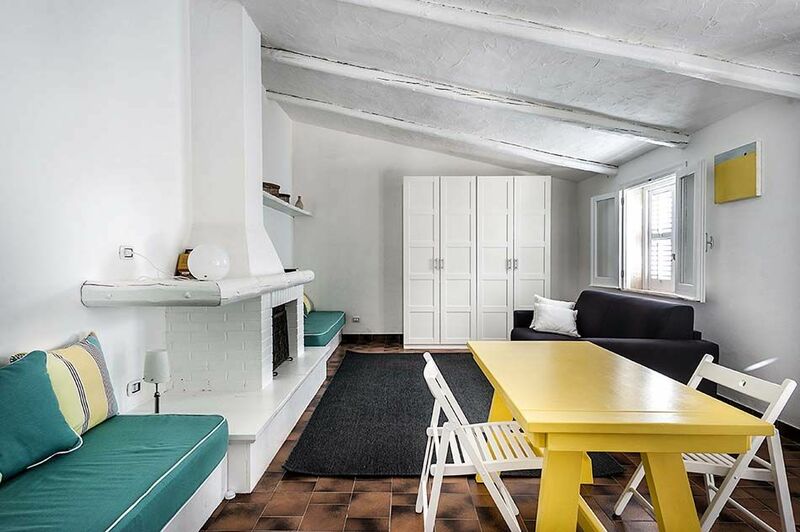 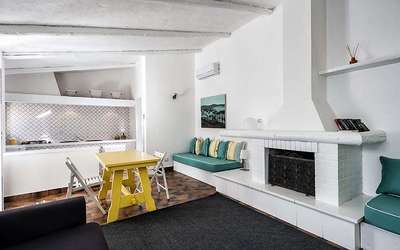 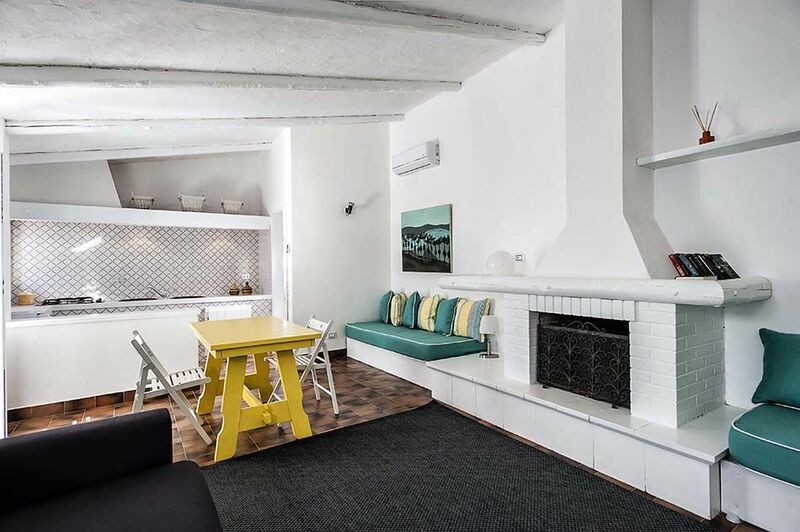 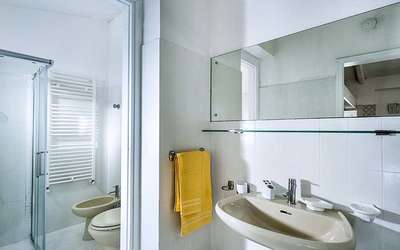 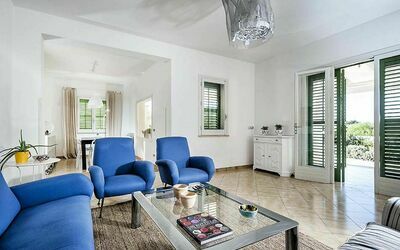 Cosy and comfortable, the house offers bright interiors furnished with great taste and functionality. 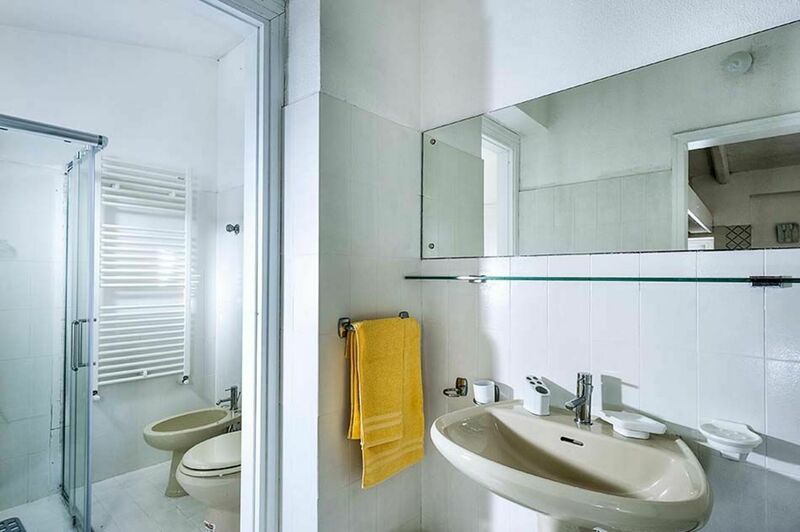 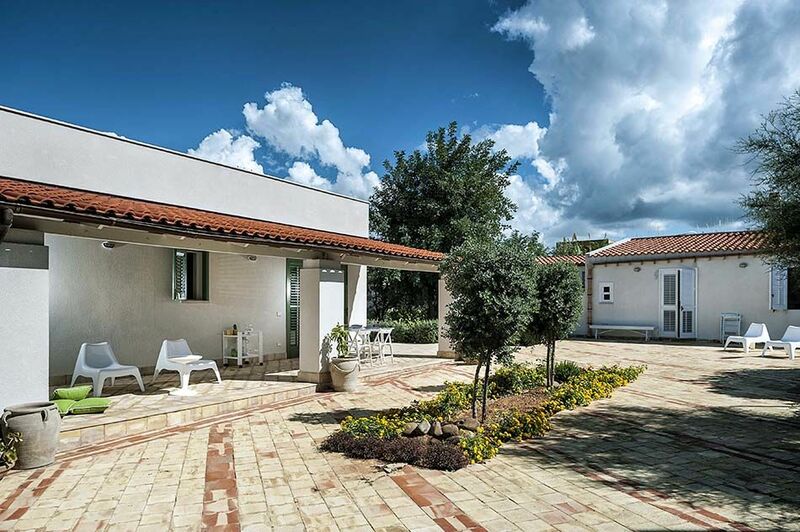 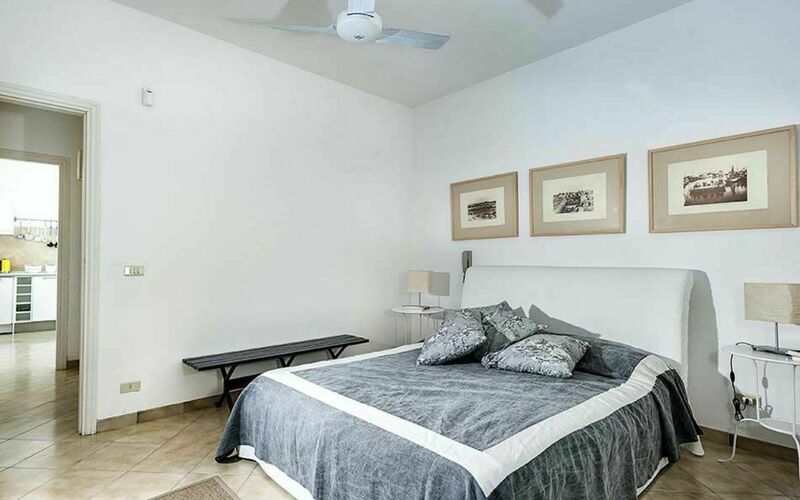 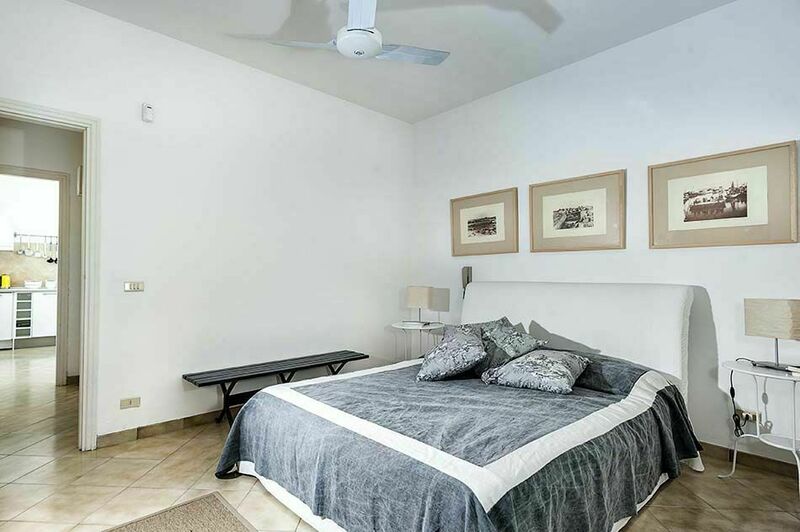 Consisting of two housing units, Casa Bianca comprises a main house with living/dining room, kitchen, three bedrooms and a bathroom, and an annex which includes one room with living area, fireplace, kitchenette, sofa bed and a bathroom. 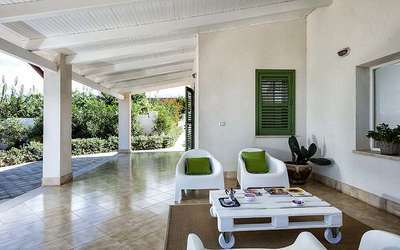 Outside the beautiful terrace, that surrounds the whole villa, is the ideal spot to spend relaxing moments. 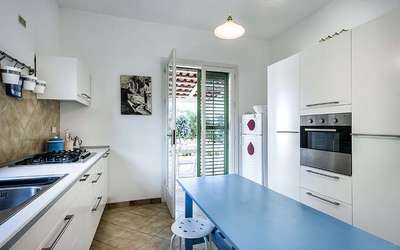 The house is also equipped with air conditioning and central heating, internet Wi-Fi, satellite TV, washing machine, dishwasher and external shower. 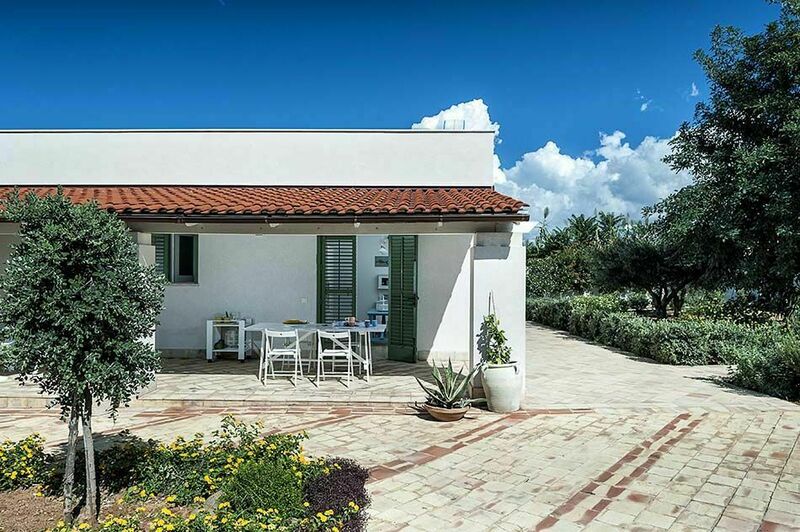 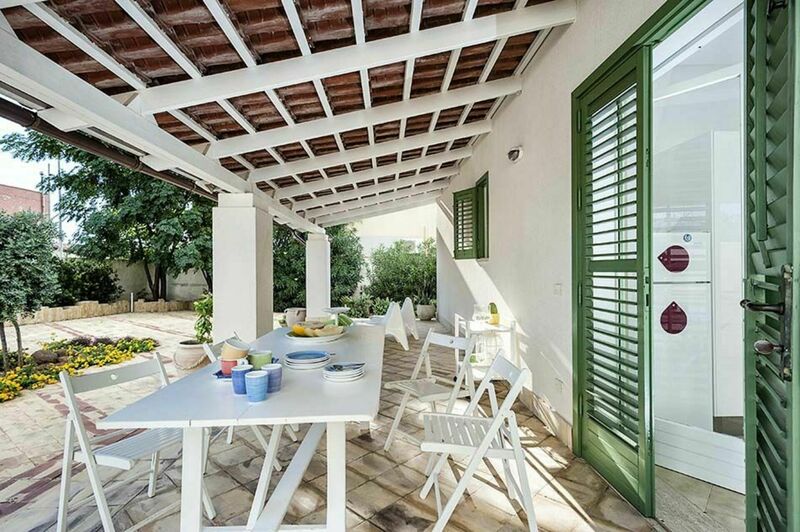 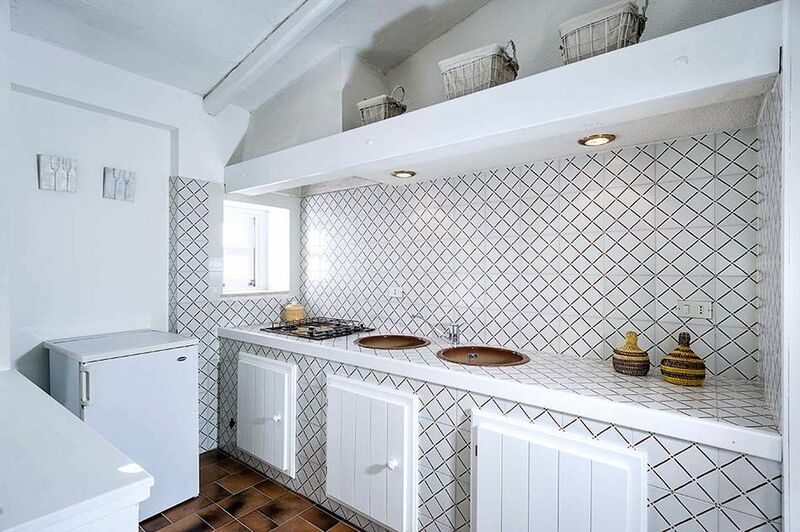 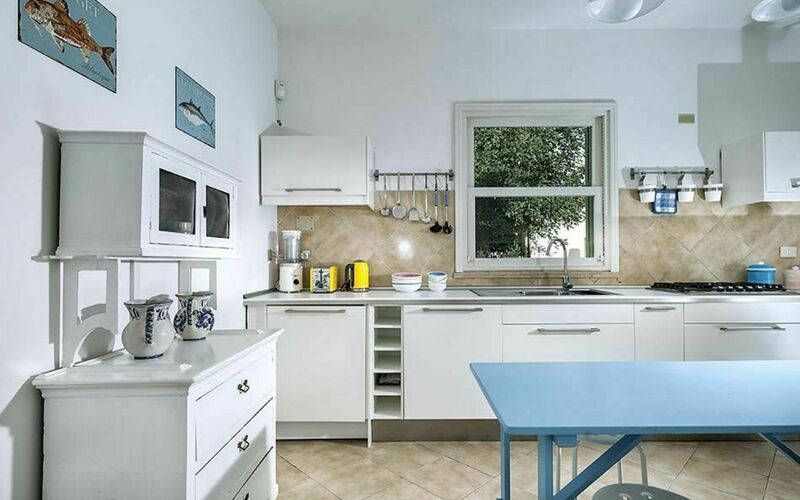 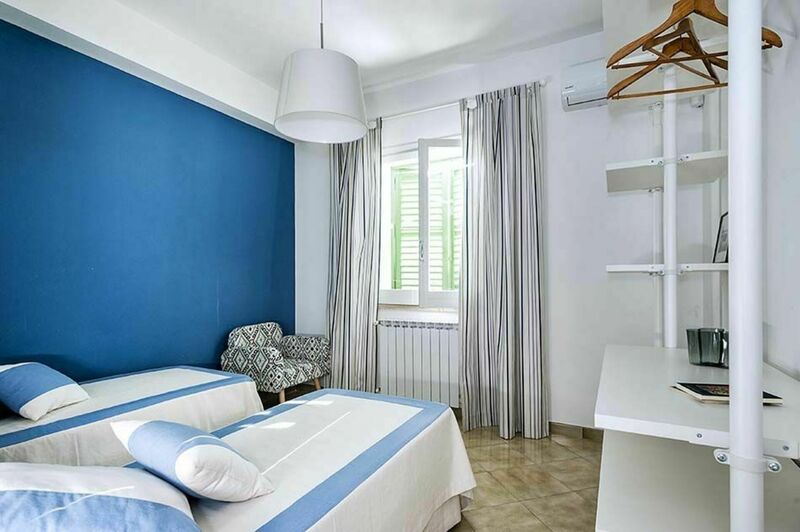 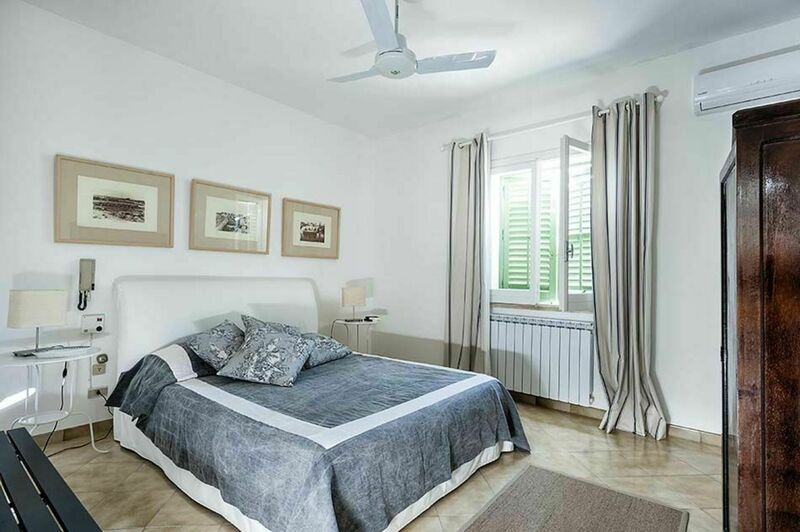 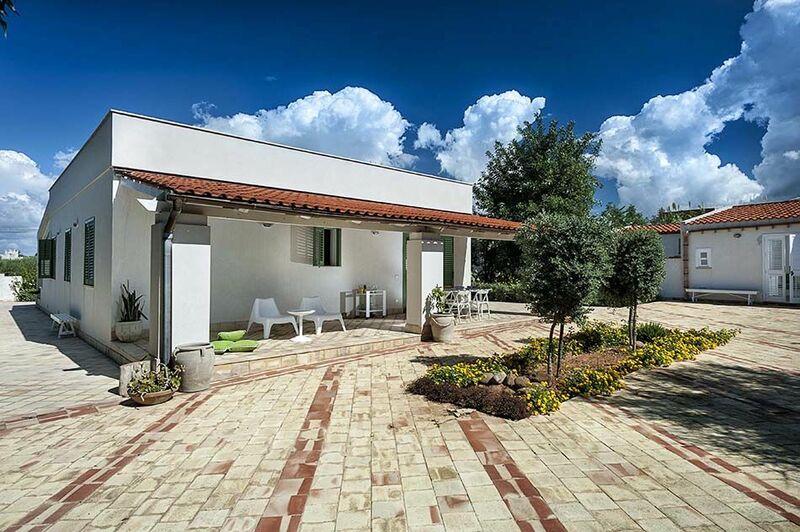 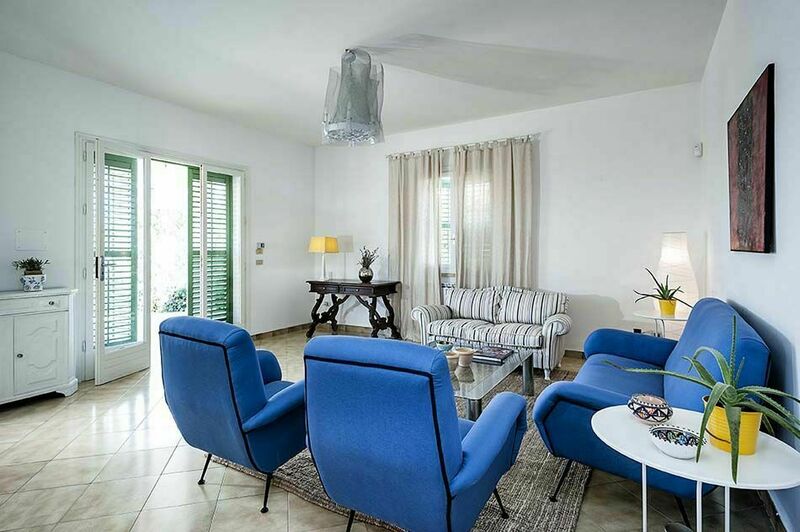 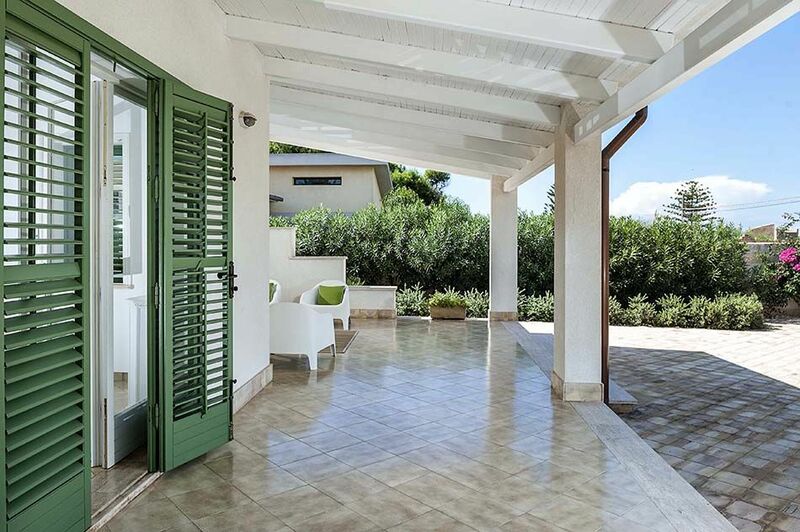 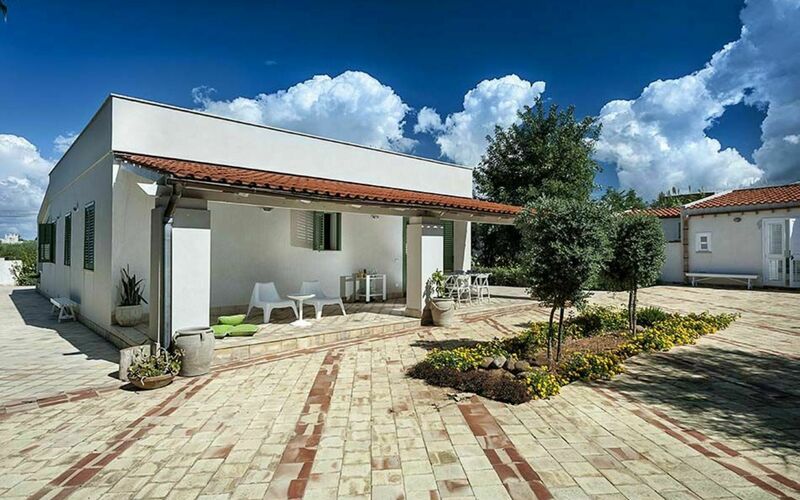 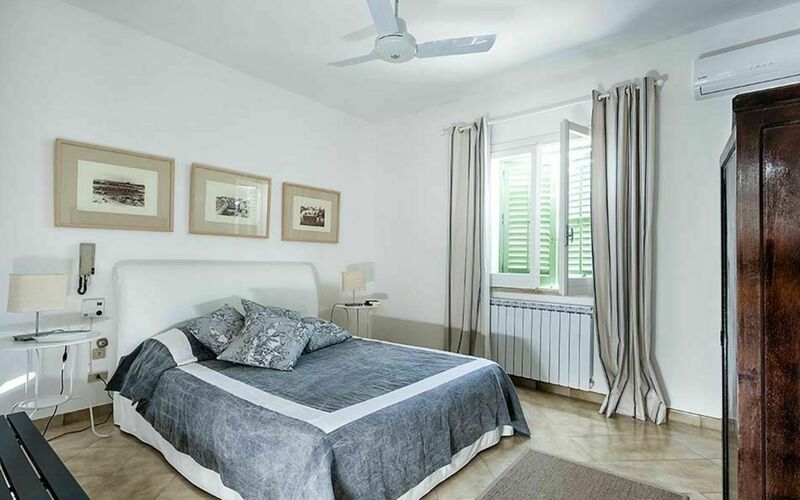 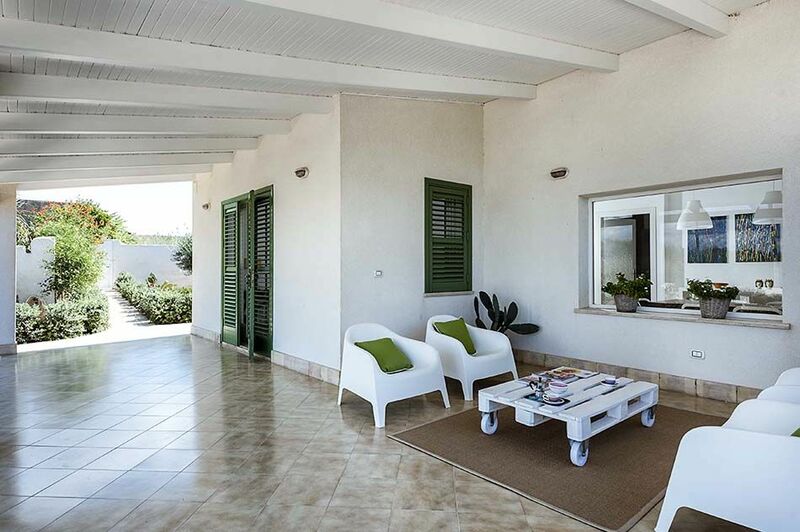 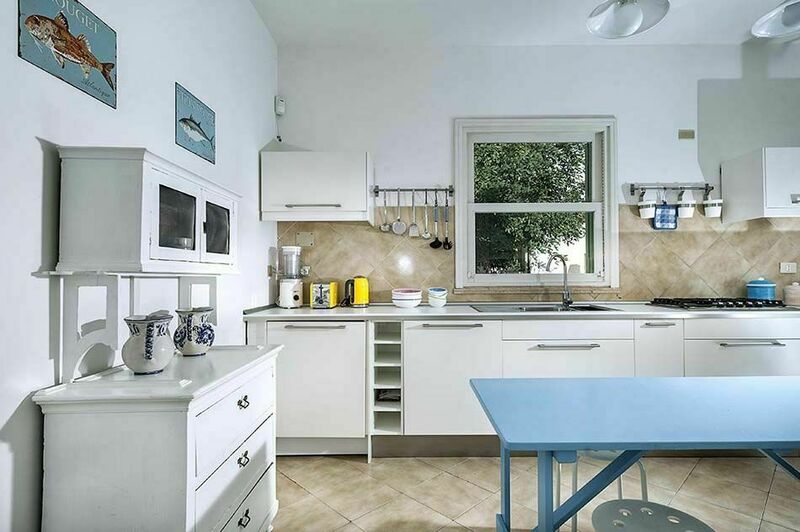 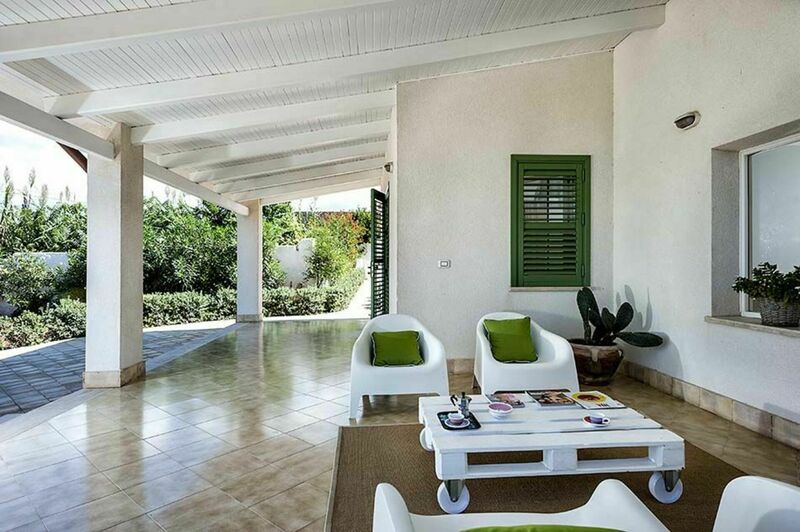 The villa location, besides being practical for reaching on foot the beach and the sea, is convenient for exploring the area and the towns of Selinunte, Sciacca, Agrigento and the Valley of the Temples, Marsala and Trapani. 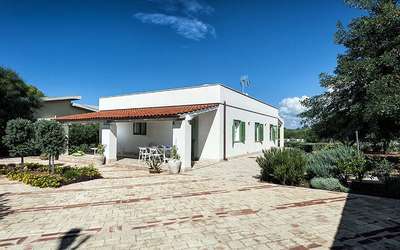 MAIN HOUSE G.F.: living/dining room, kitchen, 2 double bedrooms, 1 twin bedroom, 1 bathroom with shower; ANNEX G.F.: living room with fireplace and double sofa bed, kitchenette, 1 bathroom with shower. 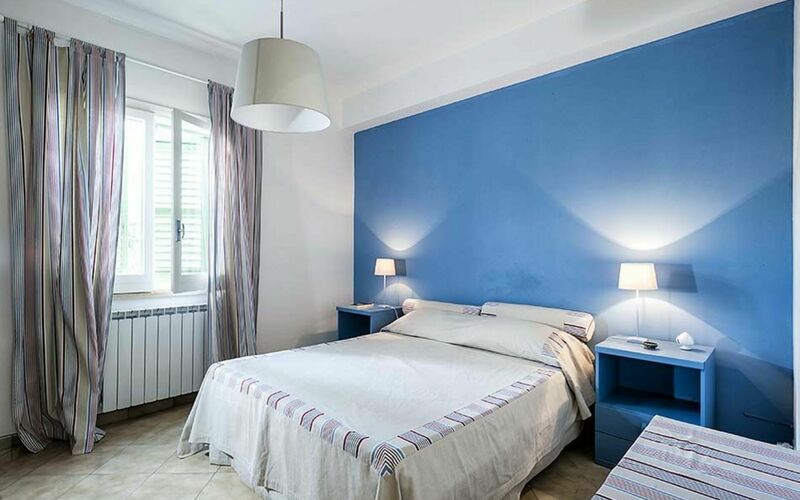 Jan 05, 2019 May 25, 2019 Any 7 € 142 n.a. 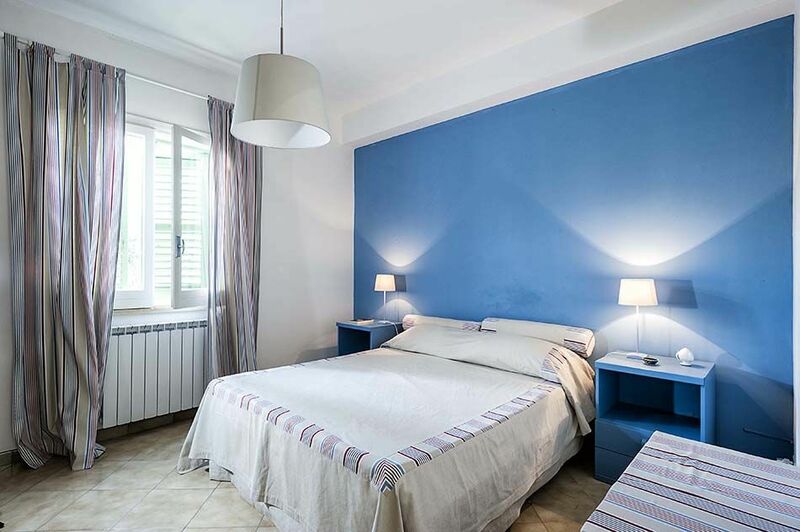 May 25, 2019 Jun 29, 2019 Any 7 € 177 n.a. Jun 29, 2019 Jul 27, 2019 Any 7 € 265 n.a. 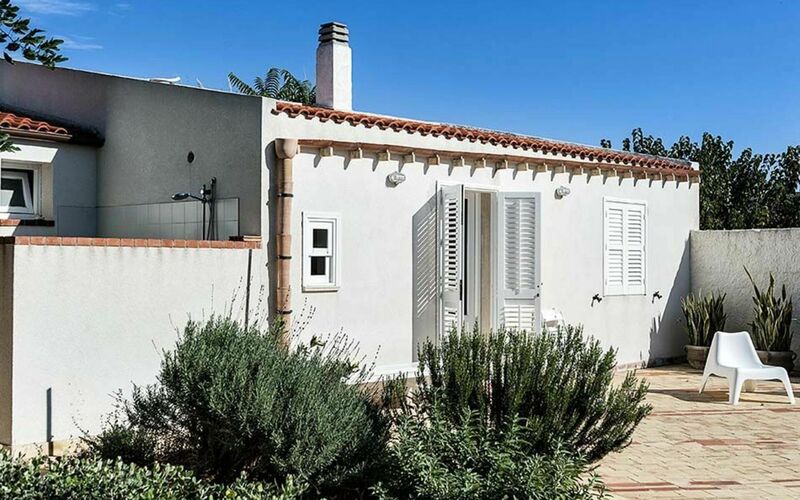 Jul 27, 2019 Aug 24, 2019 Any 7 € 328 n.a. Aug 24, 2019 Aug 31, 2019 Any 7 € 265 n.a. 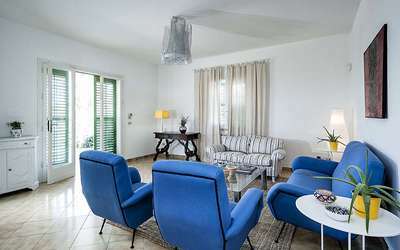 Aug 31, 2019 Sep 28, 2019 Any 7 € 177 n.a. Sep 28, 2019 Jan 04, 2020 Any 7 € 142 n.a.